Mohan Giridharadas is an accomplished expert in lean methodologies. During his 18-year career at McKinsey & Company (where he was a senior partner/director for six years), he co-created the lean service operations practice and ran the North American lean manufacturing and service operations practices and the Asia-Pacific operations practice. 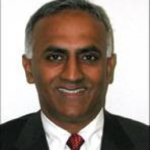 He has helped numerous Fortune 500 companies drive operational efficiency with lean practices. 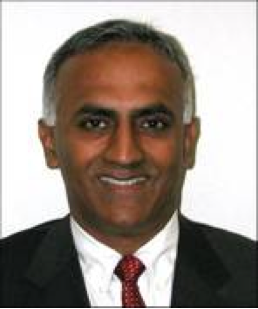 As the founder and CEO of LeanTaaS (a lean and predictive analytics company), Mohan has worked closely with dozens of leading healthcare institutions including Stanford Health Care, UCHealth, UCSF, Wake Forest and more. Mohan holds a B.Tech from IIT Bombay, MS in Computer Science from Georgia Institute of Technology and an MBA from Stanford GSB. He is on the faculty of Continuing Education at Stanford University and UC Berkeley Haas School of Business and has been named by Becker’s Hospital Review as one of the top entrepreneurs innovating in healthcare. For more information on LeanTaaS iQueue, please visit https://iqueue.com/ and follow the company on Twitter @LeanTaaS, Facebook at https://www.facebook.com/LeanTaaS and LinkedIn at https://www.linkedin.com/company/leantaas.